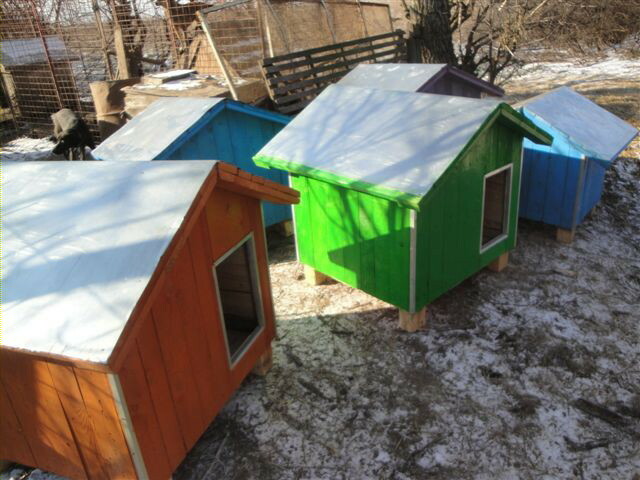 Serbia: Appeal for Donations to Fit Out Winter Dog Houses. Please try and donate 70 Euros; or whatever you can give, and make it possible for our 420 dogs in Nis shelter to survive the coming winter. 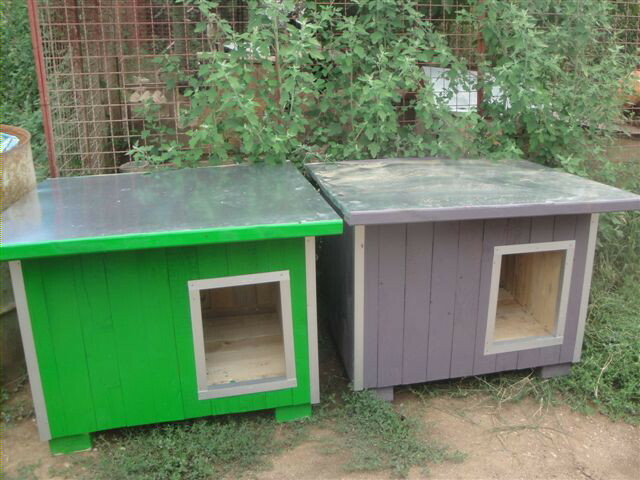 Houses are all to be fitted out with a double layer of wood, complete with a layer of styrofoam in between. In return for a donation, we will make a sign with your name on it as a donor. Contact Jelena direct (see dzznis ‘Contact’ below) or for Uk donations; send to Jean Bird via the ‘Uk Donations’ link below. 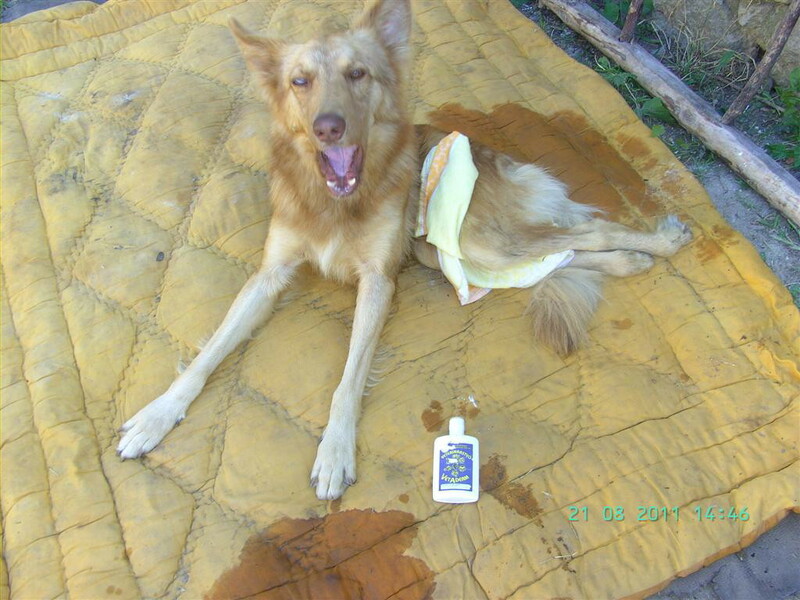 Serbia: Another Terrible Case of Suffering Inflicted on A Young, Stray, Street Dog (Archie). 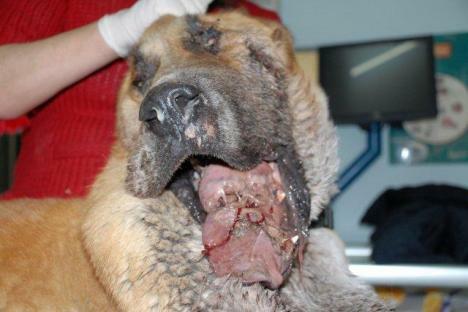 His Abuser Must be Found and Punished – Imprisoned In Accordance With Serbian Legislation. 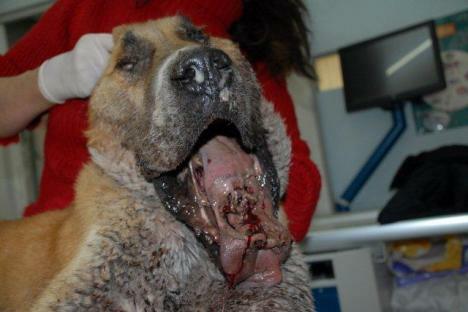 When Will The Serbian Authorities Act, We Ask ??? We are providing a copy of this post, complete with photographs of Archie, to the world famous Fitzpatrick referrals in South East England. We hope that liaison may be able to be mde between Fitzpatrick referrals and Dr. Sasa Stokic if necessary to provide further advice and help for the treatment of Archie. Archie’s front and back left side paws brutally hacked off. 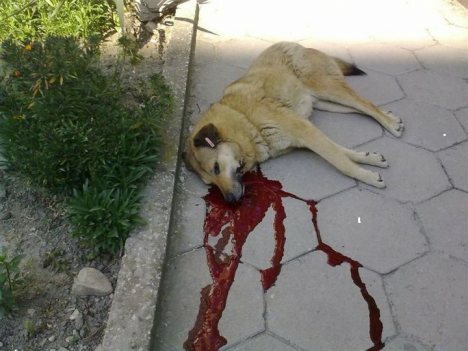 Smederevo / Belgrade, 26th August 2011 – Archie, a beautiful one-year old stray dog that used to live near a bus station in the Serbian city Smederevo, became another innocent victim of monstrous crime against animals. 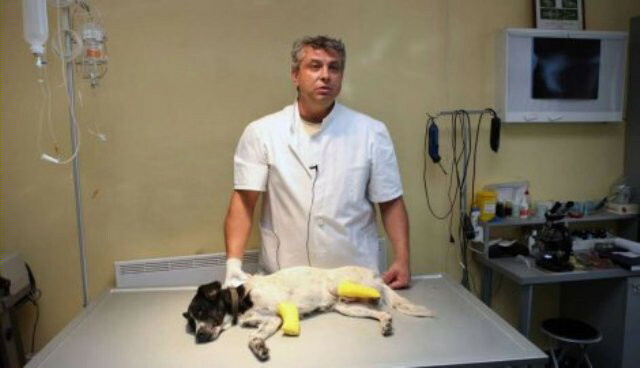 An unknown offender has cut off his front and back left paws and left the victim on the street, clearly wanting to make his crime (against stray dogs) known to everyone. Archie was brought to Dr. Sasa Stokic’s practice in Smederevo, 24 hours after the crime was committed. 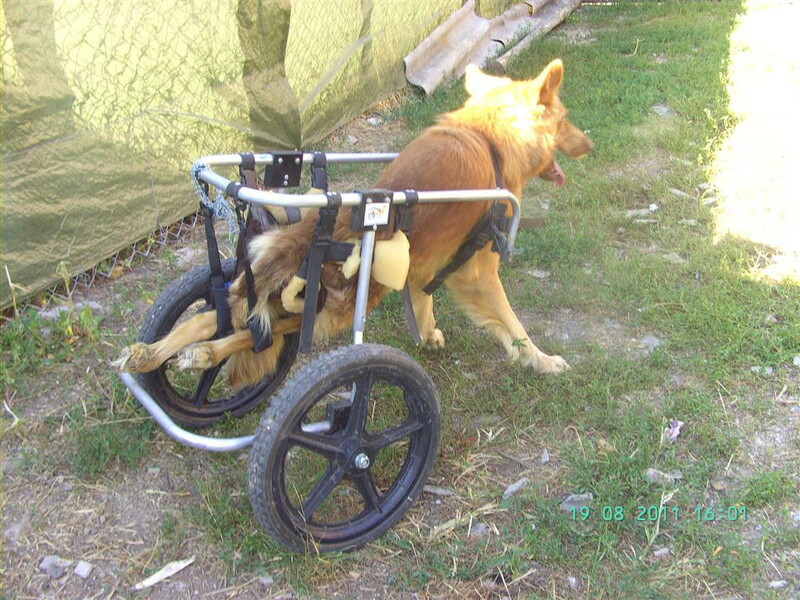 There was a serious infection and Dr. Stokic had to amputate the lower parts of Archie’s legs in order to save his life. Dr Sasa Stokic is one of the few Serbian veterinarians who is also an activist for animals’ rights. He says that the mutilation was performed professionally, with a sharp object, and that there is no doubt that the dog was crippled deliberately. Archie is stable, but he is going to need time to recover, and he will probably be able to move with the help of special prostheses. Police conducted an investigation and we are expecting that the public prosecutor will be informed about Archie’s case. Experts say that individuals direct their aggression toward animals primarily due to mild penal policies and people’s traditional belief that torture and killing of animals is allowed. The organisation ‘Humans for Animals’ warns that the crimes against animals must not be tolerated! 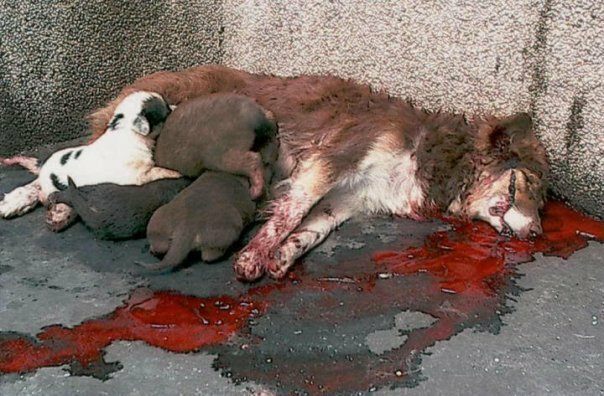 The authorities have to find and severely punish the perpetrators of brutal crimes and send the message to the public that every crime against animals is going to be punished and that the laws of the Republic of Serbia must be respected. 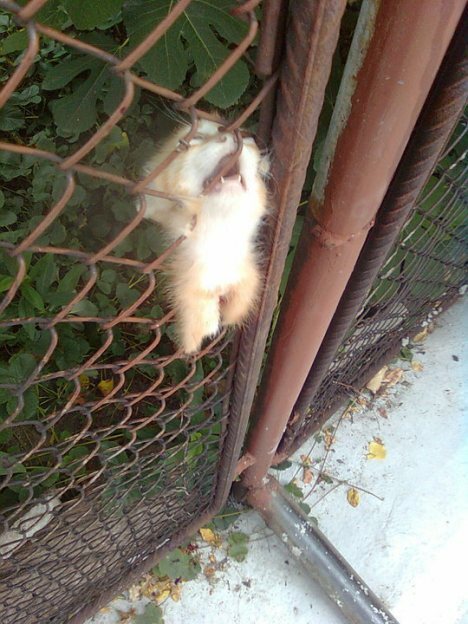 ‘Humans for Animals’ invite all citizens to report the crimes against animals, because the Criminal Law of the Republic of Serbia says that the torturing and killing of an animal is going to be fined with a one year in jail. ‘Humans for Animals’ would like to thank Dr. Stokic and his wife Dusica Stokic and also Mr Bojan Ristic who helped Archie. They are taking good care of him. 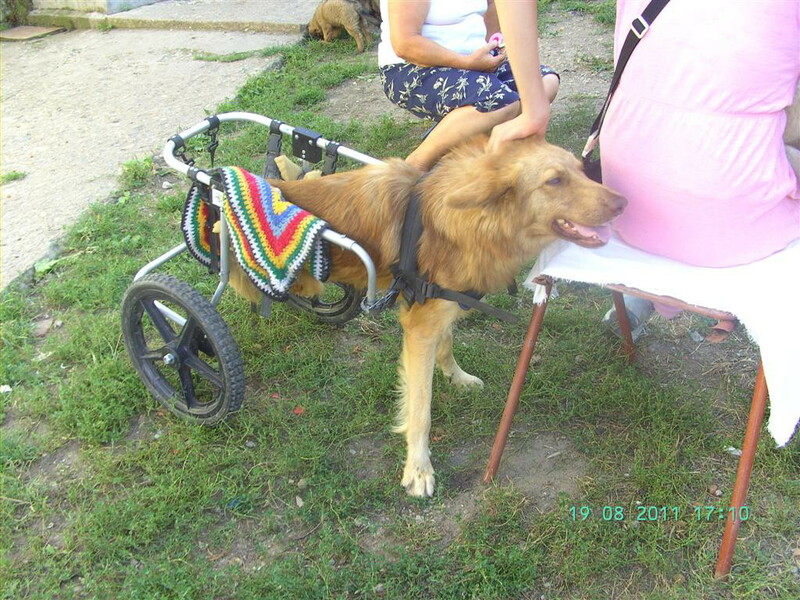 Many times in the past these noble and brave people showed that there are great animal lovers and great people in Serbia that fight every day to make the life of at least some of homeless dogs and cats easier. Natasa Vukmirovic, ‘Humans for Animals’, Belgrade. 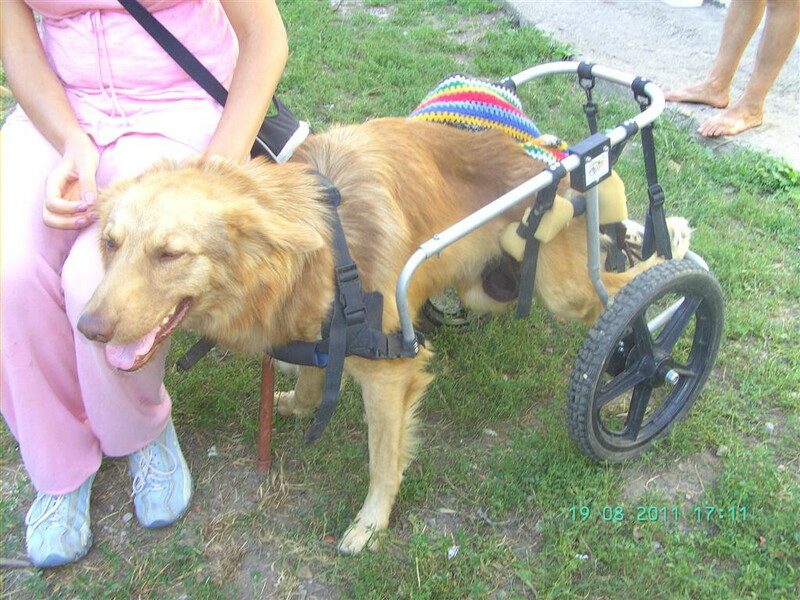 Serbia / Belgium: 27/08/11 – Special Appeal for A New Forever Home for Damjian. 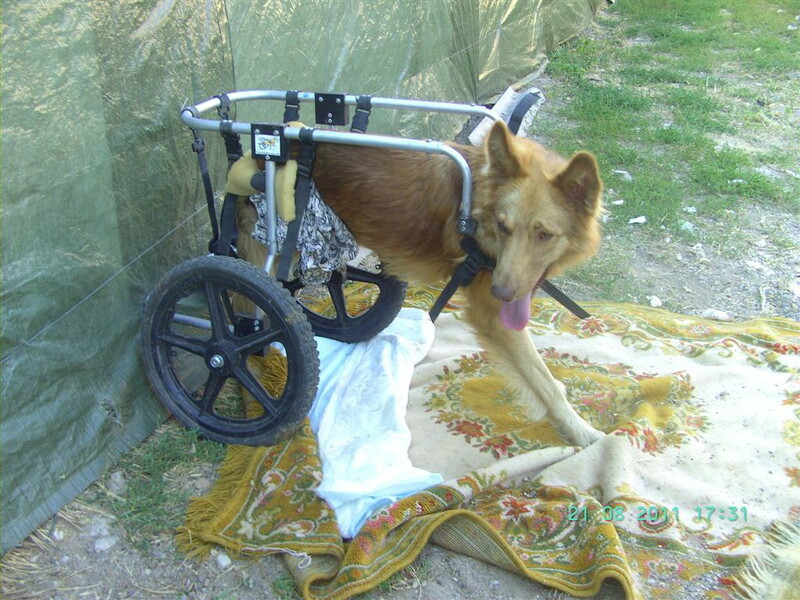 Serbia / Belgium – 27/08/11 – Special Appeal for Damjian. Please copy this post and send it far and wide – we need to find a new forever home for this guy. His requirements are more than the usual dog, but there must be someone who can give him the care and home that he deserves. Please watch the video links below, in addition to the photographs. Do what you can to help; if it is simply a donation to help with his needs. Mark can you make appeal for Damjian please? 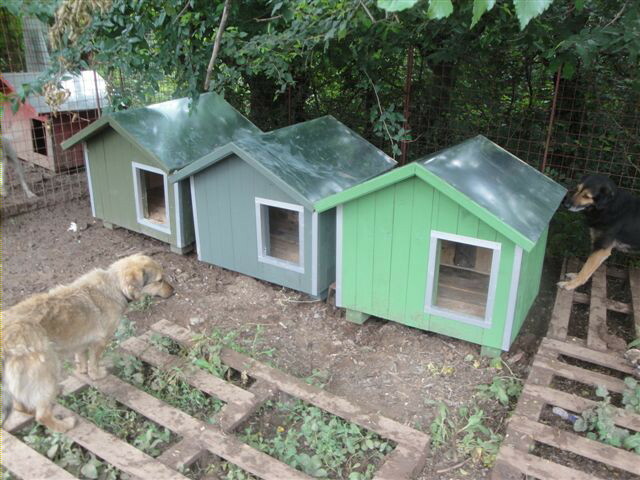 Here some pictures of Damijan; He is in Serbia. 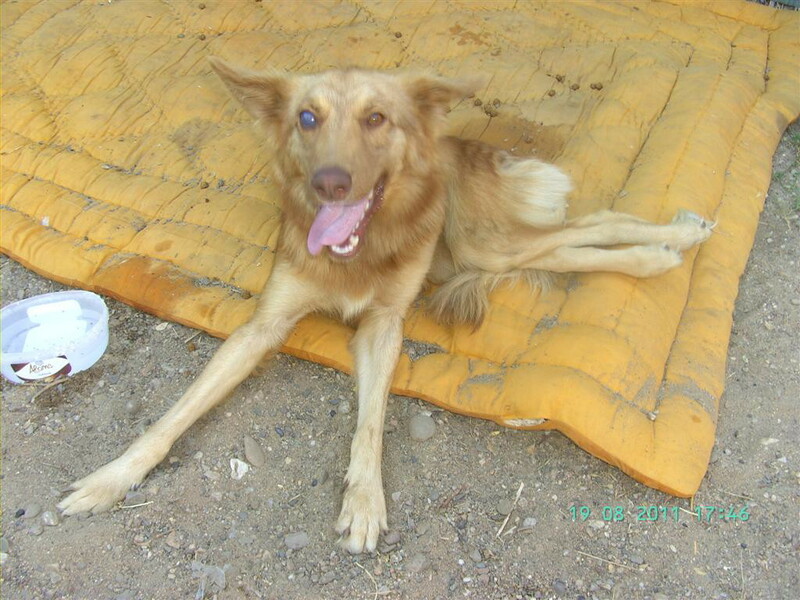 Damjian was hit by a car and found in the road like this.. he is blind in this one eye..and cannot bark as he should. 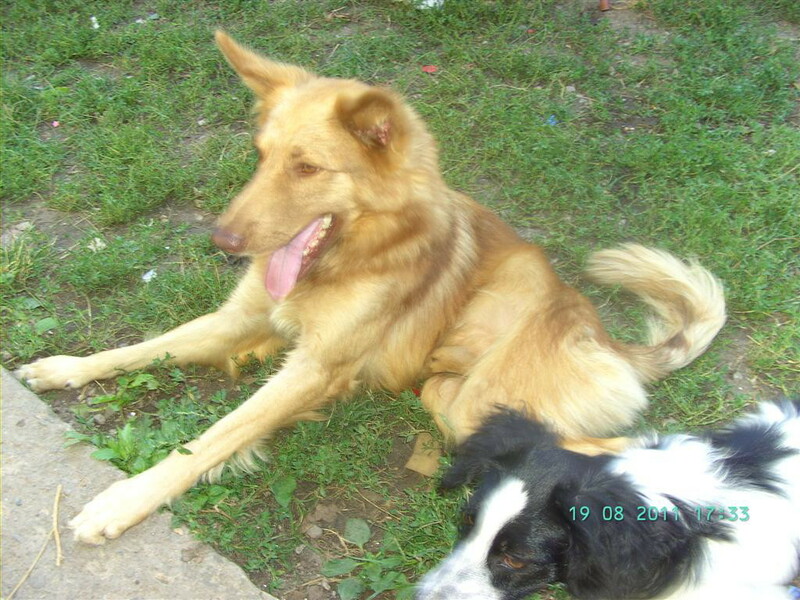 He is now in paid foster with Slavica, who is foster for puppies too. 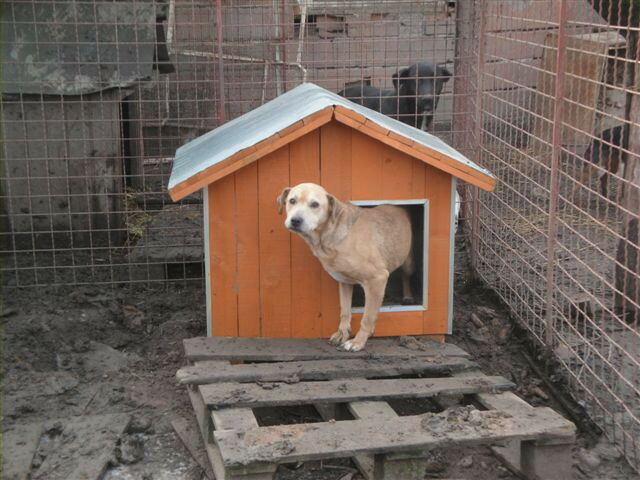 We need each month some 80 Euro for his foster. In addition, money for his diapers and special powder for him. I now paid powder and diapers for 50 Euro from my own money. He needs a lot of care. 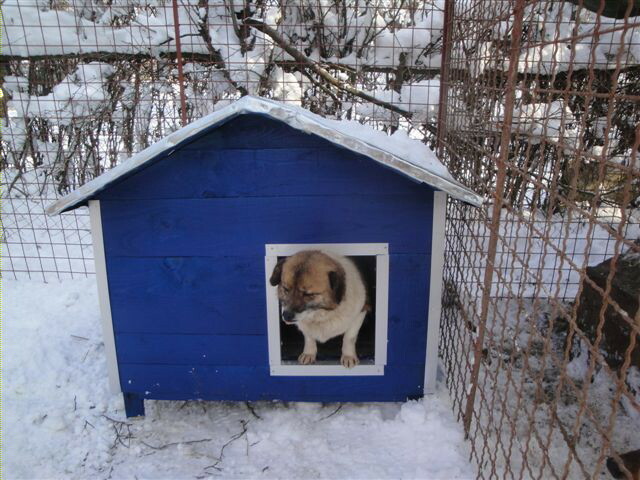 I will send a basket and special bed for him for in winter to be inside. He needs a home; he is so so, so sweet but a lot of work. His spine is not straight.which makes it a bit more difficult. He cannot control peeing very well and so needs to be washed and powdered. 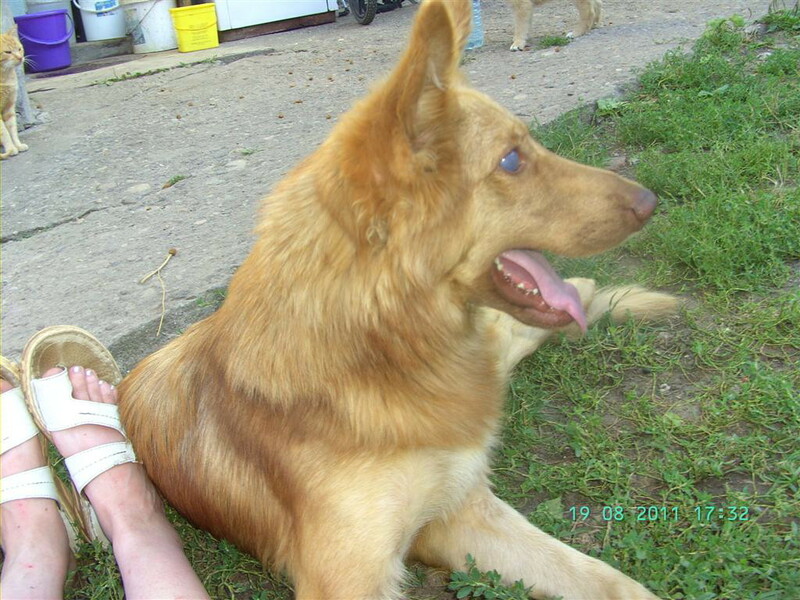 He has had several places in Serbia but nobody wants him or wants to take care of him. It is so sad for him. Now he is ok with Slavica but for how long this time?? He so much deserves a loving home. 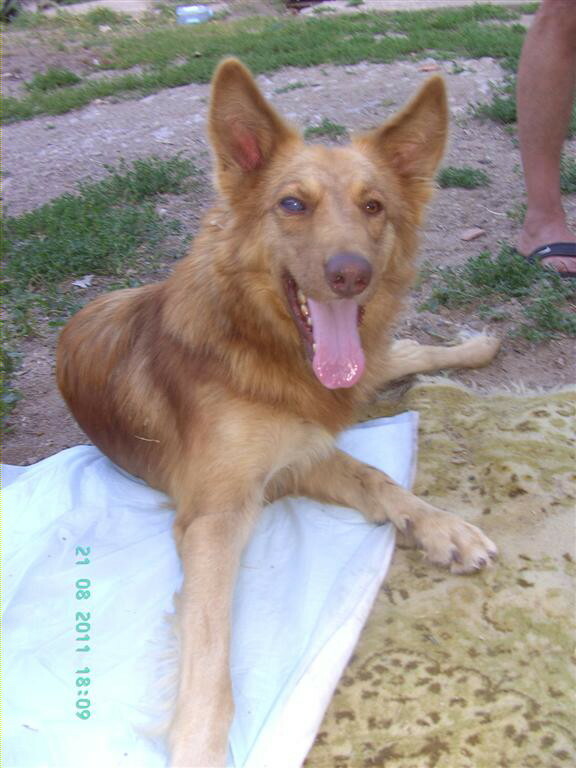 Please Find Me A New Home – Thank You – Love Damjian. Uk (England): 24/08/11 – Slaughterhouse Update – Defra Now Stripped of Its Prosecuting Powers – Great News For Uk Animal Welfare ! we now have some excellent news from Animal Aid. Now that Defra (a Uk government ministry) has been stripped of its prosecution powers, and the take over of this role by the Crown Prosecution Service (CPS); we see this as excellent news for many, many animals within the Uk. 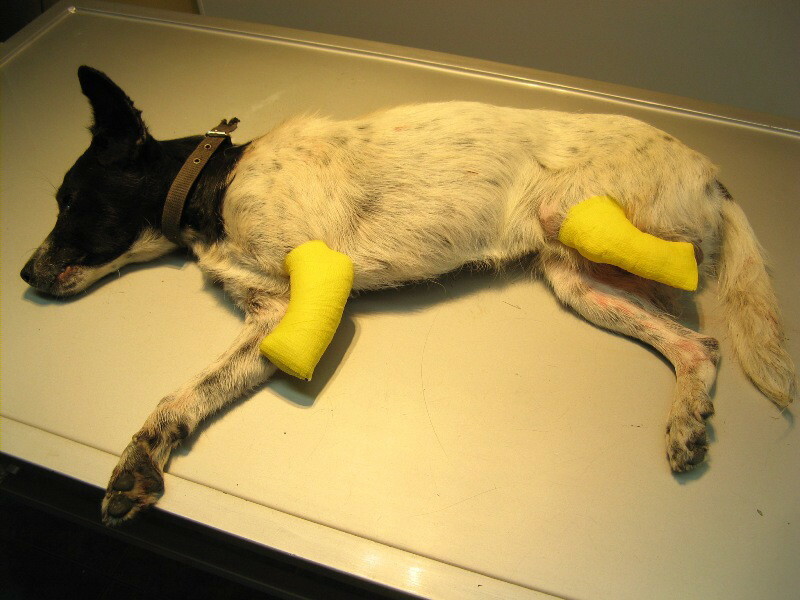 Using the CPS, animal welfare campaigners will be able to by-pass the ianactions of defra and, provided that they have sufficient evidence, will instead be able to provide their data to the CPS with a view to prosecutions being undertaken. SAV welcome this move and the tremendous work undertaken by Animal Aid. Defra, since being taken over by the existing government led by David Cameron, have been largely useless in progressing animal welfare within the Uk. Now hopefully it is time for change – progressive change – a change to help animals. A day in the Uk to celebrate – that Defra have finally been sent a message; one that they should work towards protecting animal welfare rather than protecting those who cause animal suffering. Animal Aid first drew attention to a conflict of interest within Defra 12 months ago when the government department dropped all outstanding prosecution cases against four slaughterhouse owners and nine employees. 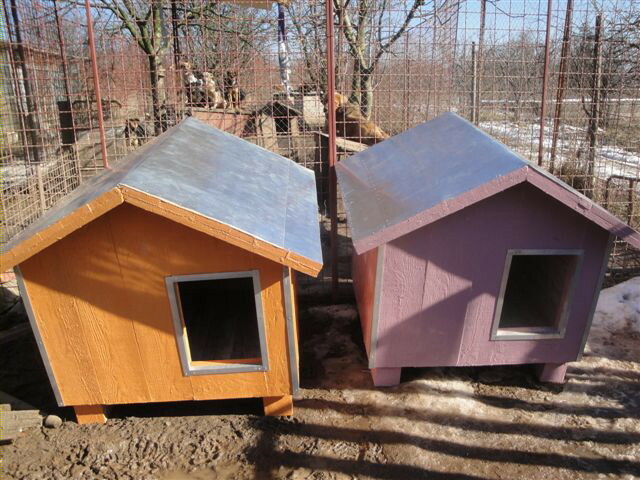 The evidence against them had been obtained by Animal Aid using covert, fly-on-the-wall cameras. Animal Aid believes that the decision to abandon these prosecutions was politically motivated (the previous Labour government had investigated and brought criminal charges) and stated publicly its concern that Defra should not be both the industry’s champion and its regulator. The department’s close ties to the farming and slaughter industries – three of the four Defra Ministers are also farmers, while the fourth worked for the National Farmers Union before becoming an MP – strengthened Animal Aid’s belief that a conflict of interest was inevitable. For additional information or to arrange an interview, contact Kate Fowler or Andrew Tyler on 01732 364546 (out of hours 07918 083 774). We have an ISDN line available for broadcast quality interviews. Animal Aid has filmed covertly inside nine UK slaughterhouses since January 2009 and found breaches of the welfare laws in eight of them. The national organisation has convinced ten of the leading supermarkets plus the leading wholesaler, Booker, to insist that their slaughterhouse suppliers install CCTV. It continues to press for an amendment to the law to make CCTV installation compulsory. 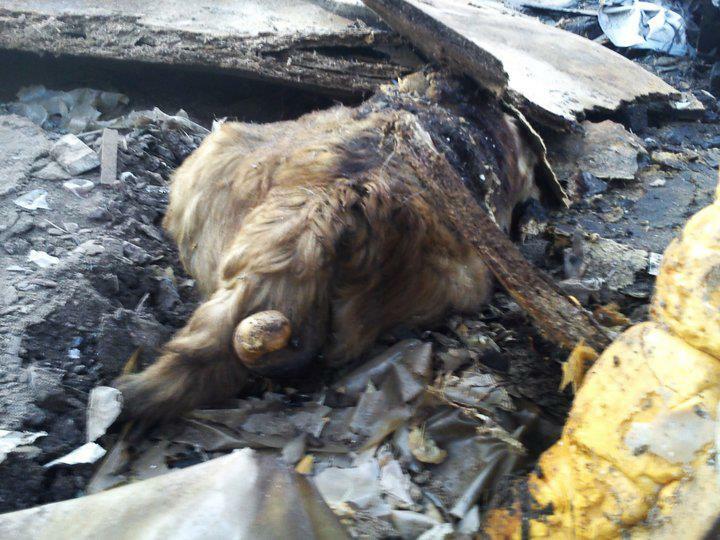 Greece: Stray Pregnant Dog Set Alight – Sample Letter to send Demanding Authorities Find Those Responsible. Please send message requesting authorities investigate a dog being set on fire; you may use the Sample Letter but please modify and shorten. 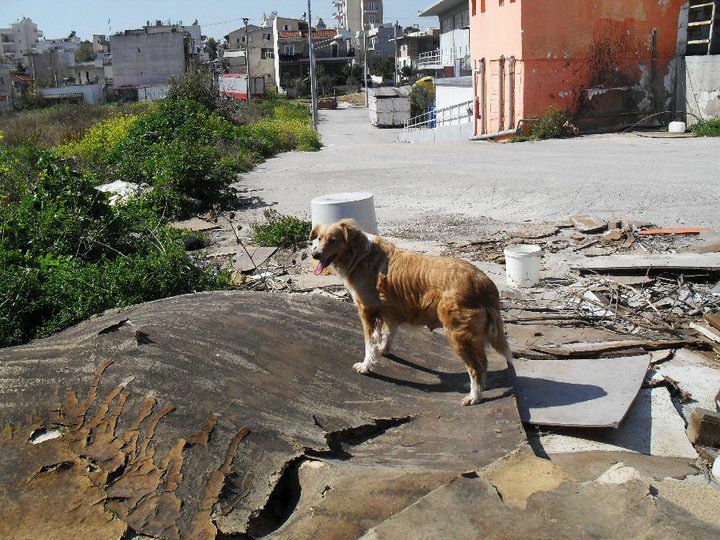 Venetia Soulakeli was taking care of a female dog in the back of the factory “Lixnia”, in Kokkinos Milos at the area of Acharnes in Athens, at Friday the 5th. Venetia, as always, went to feed the dog; the poor dog was ready to give birth to her puppies. The dog created her nest for the babies there in the rubbish under chipboard. 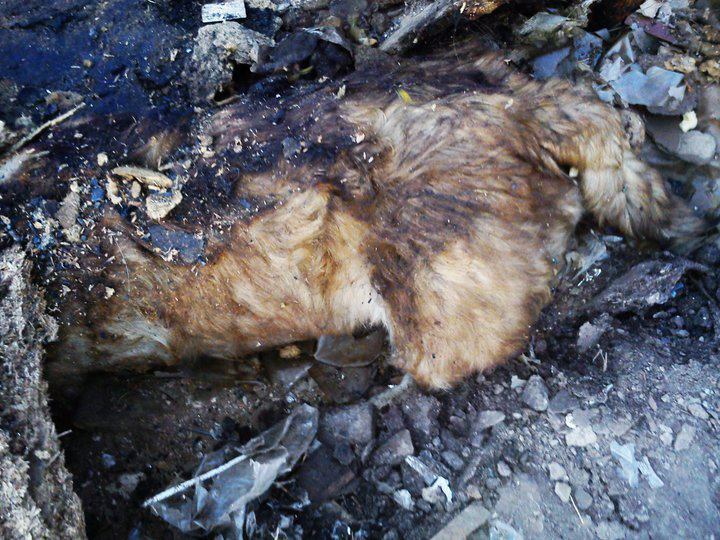 A few hours later the dog was found burned alive, set on fire while giving birth to her pups. She must have felt horrendous pain from the delivery of the puppies and from the fire, too, because her bowel was out of her body. The pictures speak for themselves. The so-called “human” who set fire to the rubbish must have seen the dog hidden beneath the chipboard giving birth to her puppies. Please email the Press Officer of the Ministery of Citizens Protection Headqaurters in Athens to make sure that this is not going to be unpunished and hushed up. They have to do everthing to find the culprit. EU: Update List on MEPs who Have / Have Not Given Their Support To Written Declaration N° 26/2011 on Dog Population Management in the European Union. All we ask is a signature to support our work and then move forward and try to take action to stop this for the future. For some MEP’s, it is still too much to ask ! Thanks to Paola, we now have a recent listing of MEP’s who have / have not supported this Written Declaration. 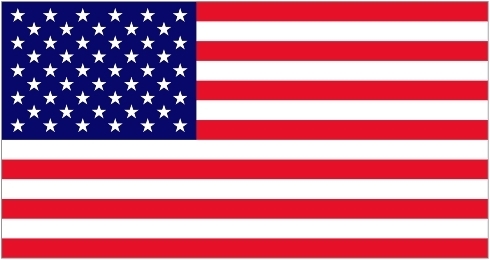 Under the column ‘Status’, you will see and entry of either ‘1’ or ‘0’. A ‘1’ entry means that this WD HAS been signed and supported by the MEP detailed. A ‘0’ means that the WD HAS NOT been supported by the MEP detailed. Despite their personal views on their political positions, MEPs work for you – they are servants of the people – and you are the people. We have attempted to get all MEP’s in our own area of SE England to sign up to this WD; and unfortunately, there has been little in the way of a positive response. We have had some support, which we very much appreciate, but this lack of interest by others is a reflection that many MEP’sd do not work for you, they simply do what they want. Some of the reasons (excuses) why the WD on dog population management in the EU cannot be supported have been astounding ! Please use the list link provided below to ascertain if your MEP’s have or have not supported this WD. Please take action to ask them to support it if necessary. A full list of non supportive MEP’s will be issued nearer the closing time of this WD. Then you can reflect on the situation and use it to review your voting policy at the next Euro Elections. The following below is a response to SAV from the office of Nigel Farage, MEP for South Eastern England; someone happy to take a salary from the Euro parliament and yet someone who is so opposed to its existence ! This is what UKIP is about – not representing EU citizens through their MEPs – but MEPs who at the same time take a salary from the EU. We suggest that if UKIP wants Uk independence, then all its MEPs pack up working in Europe; give up their MEP salaries and return to work within the Uk. SAV can operate from within the Uk covering global animal welfare issues; including lots from within the EU. So why not UKIP MEPs pack it up we ask ? – maybe like so many things nowdays; they want the titles and the salary from the institution which they state they hate so very much. Odd that ! We say – as for UKIP MEP’s, they are of no significance whatsoever. Give us MEPs who represent the people; not live in some self opinionated dream world thinking they are lord god almighty. Mr Farage, and 12 other UKIP-representatives, sit in the EU’s consultative assembly in order to keep watch, and report, on the acrivities of the EU’s institutions and to vote against all the EU’s so-called legislation. They are electorally mandated to do this. They have no mandate for recognising the legitimacy of the EU or for calling upon it to do anything other than to dissolve itself. Some “legislation” appears to contain worthwhile elements, but whether it does or not, it all contributes to increasing the EU’s power, and its erosion of democracy. As for written-declarations, they are of no significance whatever, except as opportunites for EU-propaganda and for the self-aggrandisement of those who propose them. Even if all the MEPs vote for this (unbinding) written declaration, all the legislative power is in the hands of the Commission who can simply ignore the request. These Commissioners are not elected by anyone or accountable by the ballot box, but yet create 75% of laws in the UK – We do not recoginse this foreign government or support such a legislative process that is not accountable to the people of Britain. 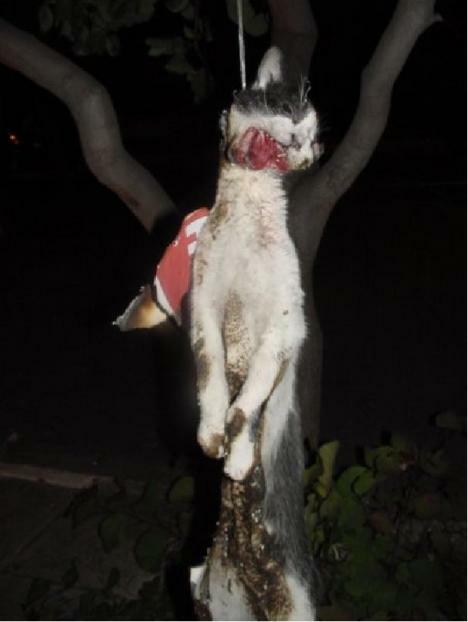 USA: Ohio County, Indiana – Campshore Campground – Terrible Animal Suffering Approved by the ‘Honourables’ of the County. Watch the Video and Then Take Action – Contact Details of the ‘Honourables’ Below. 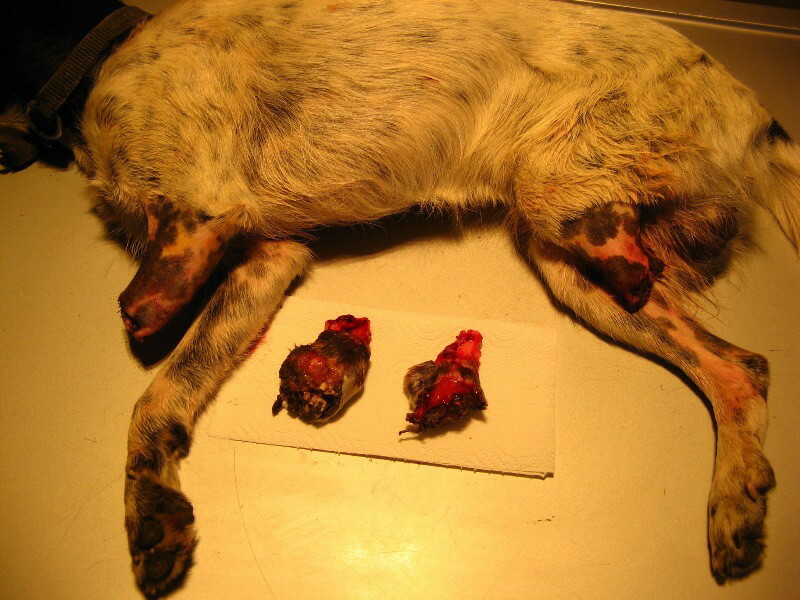 Warning – Animal Abuse by those with nothing better to do ! Ohio County, Indiana, is home to an extraordinarily cruel event called “Snapperfest”—next scheduled for this Saturday, August 20! Every year at the Campshore Campground, wild-caught snapping turtles endure terrible violence at the hands of participants. The frightened animals are grabbed by their tails and repeatedly slammed to the ground. Their heads are yanked from their shells, and they are then swung around until “contestants” are able to wrap their fists around the animals’ necks. THERE IS NOTHING HONOURABLE IN SUPPORTING ANIMAL ABUSE ! !